Capacity: 22 guns, 25.7 cubic ft. 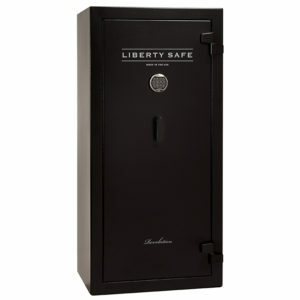 Choose your safe and trim colors below to add your Liberty Presidential 25 to your shopping cart. 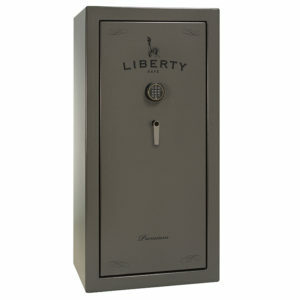 The Liberty Presidential 25 safes makes thieves shudder in their pants. A touch of class is added with Liberty’s exclusive features such as 5-point ships wheel handle, elegant hand applied beveled edge finishes and a LIGHTED velour interior with Liberty’s newly trimmed ACCESSORY DOOR PANEL. New GX-480 MONSTER MECH increases security with anti-punch and gear drive mechanism to thwart any thief. New for 2010–each Presidential comes with our classy pull out jewelry drawer to better organize valuables. We even include the best convection dehumidifier to help reduce moisture and protect valuables from damage. Available in three large-capacity sizes-25, 40 and 50-and in a variety of colors, including Marble Gloss! Now included as standard feature on all Presidentials ever popular innovation–PREMIUM ACCESSORY DOOR PANEL. Saves shelf space and includes quick-draw holsters for handguns, zip pockets for valuables and a Cool Pocket to help keep papers and documents protected during a fire. 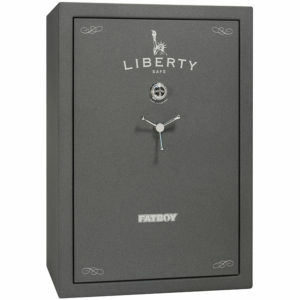 For the last 3 Years in a row A-1 Locksmith has been voted the #1 Locksmith by CityVoter.com and Dallas Residents. 3 Years in a row we beat out 30 other companies to take the title, experience the best today! A-1 Locksmiths are members of the Safe & Vault Technicians Association, the Texas Locksmiths Association, and ALOA Security Professionals Association. 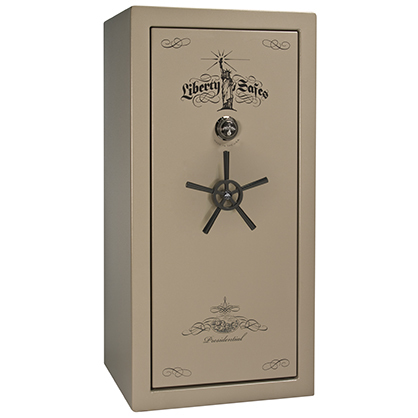 Joe East Enterprises, DBA A-1 Locksmith, is licensed by the State of Texas to operate as a professional locksmith. Our license number is #B08476. View our information at the Texas Department of Public Safety.